Pressed for time? Click to listen! 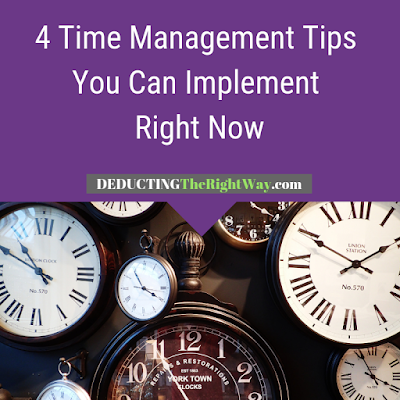 Time is one of our most valuable resources, but we’re not always the best at time management strategies. As a result, we often feel there isn’t enough time in the day to accomplish all the things we set out to do and then find ourselves exhausted and frustrated. [We may earn a commission or referral fee when you click on the links appearing in this post. Read full disclosure]. As a small business owner, you may need to turn to apps and time management tools that help reduce how much time you devote to each task. Sometimes you even have to hire extra help (see our other article Why You Need to Hire a Freelancer for Your SMB). When you free up time, you can accomplish so much more which includes concentrating on sales or providing much-needed support to an employee who’s in charge of that department. Be realistic about the number of goals you set for yourself each day. If you try to pack too much into your day, you are automatically setting yourself up for failure. So, when you sit down to start the day, make sure you have a realistic idea of how long each activity will take to finish, and always give yourself a little “wiggle room” for unforeseen issues that may arise. Complete the most important tasks first. When you’re making a to-do list, identify the two or three tasks that are most important and complete them first. Once you finish, you will be in a better position to focus on everything else, plus you’ll have a sense of accomplishment. Stay focused. While working on a task try not to get distracted by other items that need your attention and avoid the temptation to go back and forth between them. Do your best to focus only on the task at hand. Learn to say “no.” Set your limits, and if people ask for more than you can give, recommend another person who is qualified to assist. TIP: Don't forget that the cost of hiring extra help or paying for web apps that streamline your business can be tax deductible. DISCLAIMER: Please consult with your accountant, attorney and financial advisor before implementing any tips displayed on this website. DIY research does not replace the advice of a licensed professional who has thoroughly reviewed your file. \nAs a small business owner, you may need to turn to apps and time management tools that help reduce how much time you devote to each task. Sometimes you even have to hire extra help (see our other article Why You Need to Hire a Freelancer for Your SMB). When you free up time, you can accomplish so much more which includes concentrating on sales or providing much-needed support to an employee who’s in charge of that department. \nTIP: Don't forget that the cost of hiring extra help or paying for web apps that streamline your business can be tax deductible. 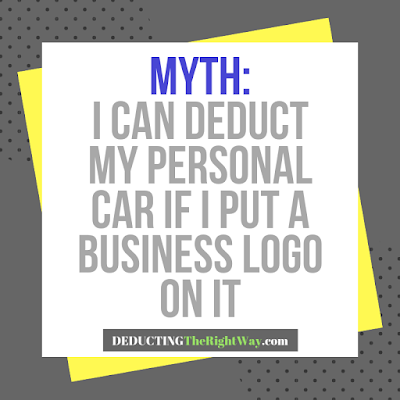 When you drive your personal vehicle for a trade or business, you can get a tax write-off only for the costs associated with the business use; not the expenses related to your personal use. Let's start with the rule that the IRS does not allow a tax deduction for personal living expenses. Your vehicle is a personal asset that falls under the statute. So, the monthly car payment and daily commuting miles are non-deductible. Even if you regularly drive a personal car for business purposes, you cannot re-characterize the entire asset as a business expense. It continues to be a personal expense except for the costs incurred with the business mileage. 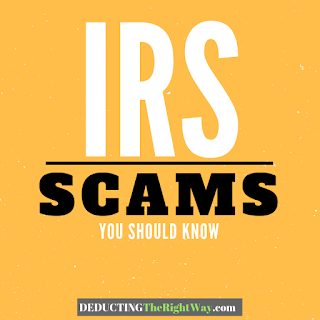 Every year, thousands of taxpayers lose millions of dollars and their personal information to IRS scams. With new ones cropping up every year, it's hard to keep up with the latest tactics. Product Recommendation: Equifax Small Business credit report, score, and monitoring [We may earn a commission or referral fee when you click on the links appearing in this post. Read full disclosure]. Learning how criminals work is your best safety measure to avoid becoming a victim. For a complete list of warnings, check out the IRS website for Tax Scams & Consumer Alerts. Savvy small business owners create their tax strategies well before the tax year closes. 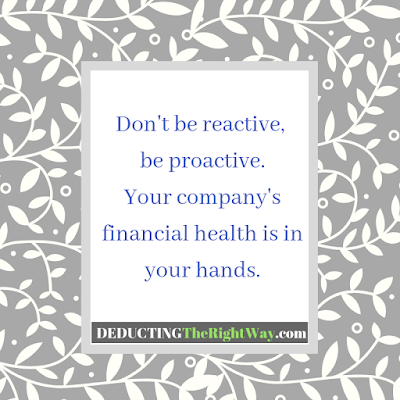 So, if you’re interested in spending the least amount of tax, then get ready to pay for your accountant’s time, knowledge, and expertise throughout the year (and not just at tax time).